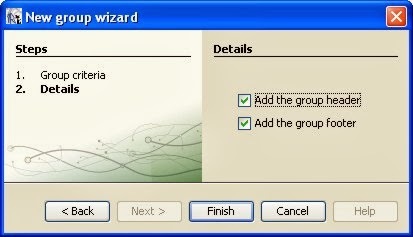 Click next button, then Finish. 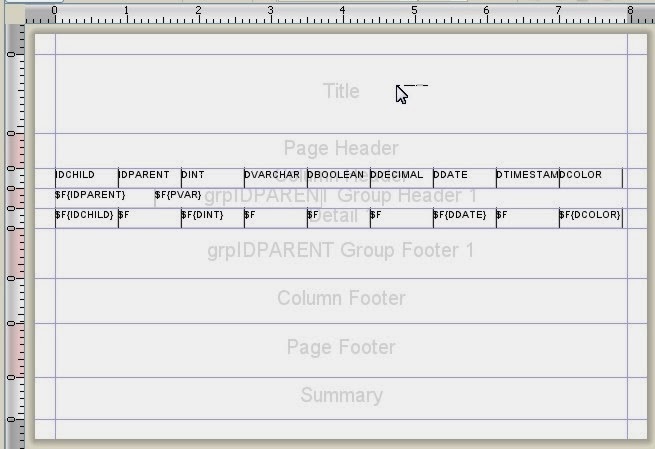 Now, we will see two group band, group header and group footer. 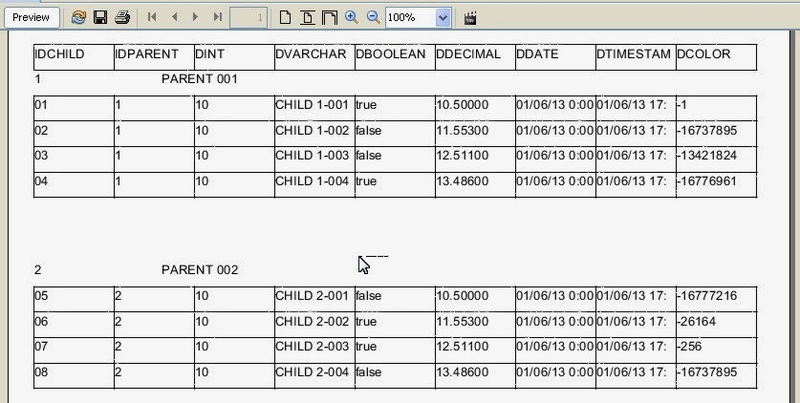 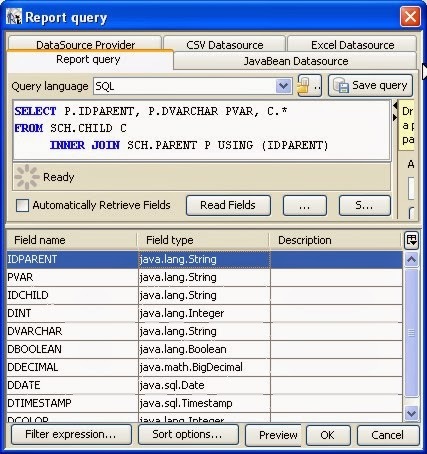 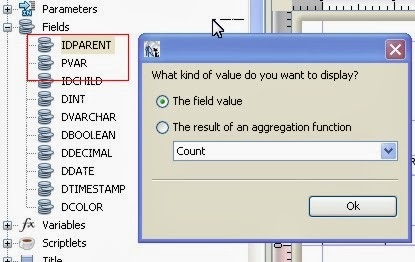 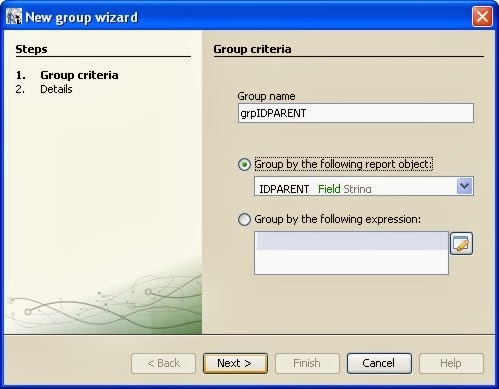 In Inspector Report tab, Fields node, select IDPARENT and PVAR, then drag them to group header band. 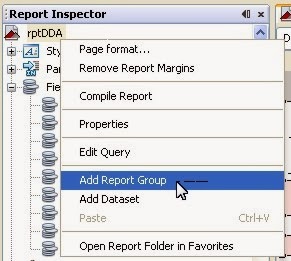 Fit the band height, by double click the bottom line of group header band.